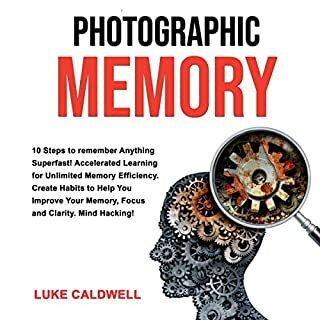 Photographic Memory: 10 Steps to Remember Anything Superfast! Accelerated Learning for Unlimited Memory Efficiency. Create Habits to Help You Improve Your Memory, Focus and Clarity. Mind Hacking! Have you been worrying that your memory may be slipping? Or are you envious of your classmate’s apparent ability to memorize large amounts of information with ease? Perhaps you are heading towards the “golden years” and you just want to make sure you keep your memory sharp. Or you are about to start school after a long sabbatical and you want to be sure your study skills are up to par. Do you have trouble remembering people’s names? Is it hard for you to learn new things easily? You might be surprised to discover that the problem isn’t you or even aging - it’s your techniques. Now, you can dramatically increase your ability to memorize anything in only 14 days by mastering the scientifically proven best method of memory enhancement. 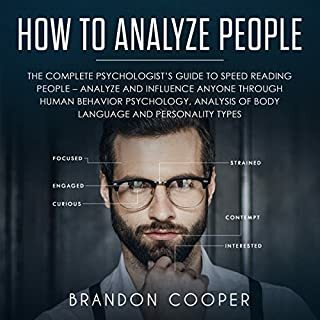 This audiobook offers a structured program on how you can organize the information in your brain into an efficient file and recall system. You will learn to give your mind directions of how to get where it needs to go using the best shortcuts. You will also get exclusive access to powerful advanced strategies that the world's best memory masters use for themselves, as well as the exact steps you need to follow to get your own bulletproof memory. Be known as the person with great memory. Become a human dictionary, able to quickly recall facts with ease. Never forget anyone's name ever again! Double - or even triple - your reading speed so you can study faster and remember more! Master your focus and concentrate longer. Get more accomplished in less time. Live a life of never-ending achievement with increased focus and productivity. Master difficult tasks and break the procrastination habit. Overcome a lack of motivation and laziness. Feel mentally young and fresh, no matter your chronological age. Learn new languages with ease. 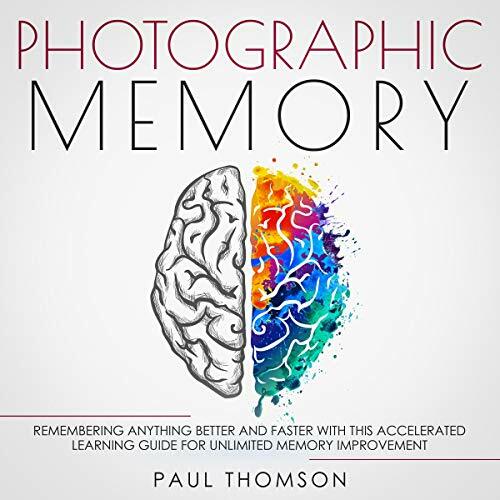 The Photographic Memory system can help anyone of all ages harness the incredible power of the mind to remember more with very little effort. If you apply the strategies inside, inevitably - hour after hour...day after day...week after week - you will find yourself in command of ever-increasing powers of rapid learning, vocabulary building, problem-solving, clear-thinking, friend-making, and superhuman memory. Will this work for you if you are older, aging, have memory loss, or are taking medication? Yes, yes, yes, and yes! 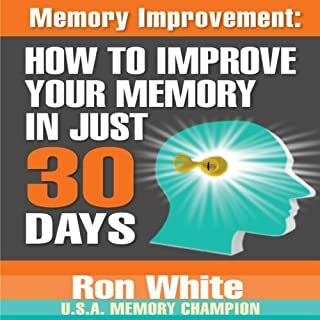 Buy this audiobook and start improving your memory right now! This is a self-help book to get your memory working again or working better. The explaining is easy to understand and I found myself nodding my heat in agreement with some of the information. Good book and worth to buy! If you are one of those people who still memorize things through repeating them over and over until retained, then it's time to get rid of that old habit and discover a range of various memory tricks and techniques in this book. You'll able to practice every technique through the exercises included in each method! 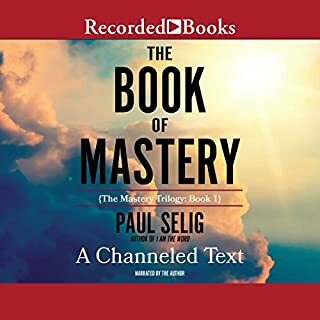 Excellent audiobook and definitely very useful as the stuff here can be used for life. It doesn’t try to be too ambitious but introduces the listener to the world of memory and the key is to keep exercising the mind. The examples included definitely help. Photographic memory is a very important type of visual memory. A person with a well-developed photographic memory remembers everything in the smallest detail. This book is impressive! It is excellent book for Photographic Memory. There is a lot of conflicting and downright confusing information out there about how memory works, whether or not a photographic memory is possible, and how to train your brain to reach peak memory performance. I am perusing this book I can learn tips and traps of genuine memory champions. Especially entrancing and accommodating. I truly delighted in every one of the parts of the book. Exceptionally enlightening book. A lot of systems of memorization. A lot of systems of memorization. Building from simple to more complex. Examples and self testing to help you understand concepts. Amazing! I thought this was a very interesting audio book to listen to, doing all the little memory tricks was fun and made me feel creative. Definitely recommended this to anybody who wants to learn some useful learning skills. This audio book gave me some great tips on storing memories. 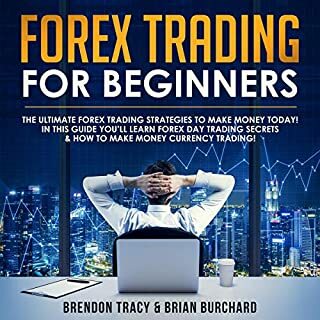 Before listening to this audio book, I had been using some of these methods without realizing it! Expanding the ways I could store more memories is something I’ll be trying to practice more from now on. Gorgeously produced book, and a very interesting idea. A unique and thoughtful look. Photographic memory is a powerful way to get yourself ahead in the game and to always keep your mind sharp and focused. It helps us improve our mental focus and concentration, boost our productivity and speed up our success. Wow! this book is interesting and helpful! This is a self-help book to get your memory working again or working better. The writing is easy to understand and I found myself nodding my heat in agreement with some of the information. The instructions and techniques are very detailed, effective and helpful. Recommended! I teach college courses up to about 65 students and each semester I make it a point to know each student by name within the first couple of weeks, using a picture roll. In the past I have used some of the techniques described in the book. However, after reading this book I have been able to learn all my students names in a couple of hours rather than a week. The first few chapters are motivational, getting past one’s inhibitions and self-enforced limitations. In part 2 Horsley goes into a different method in each chapter. Generally, several methods use associating what a person wants to remember with things they know well, a way of affixing new knowledge with established knowledge. In chapter 6, Use your car to remember, a list of items, in this case foods that are good for your mind, is associated with parts of your car. Recalling it now, you imagine putting a tomato in the grill, an orange on the roof, blueberries on your seat, dried fruit on the dash, seeds and nuts in the back seat, an egg in the passenger seat, fish under the hood, etc. Makes for a humorous picture, imagining it, and this is one of Horsley’s major points: using imagination and humorous associations help us to remember. Another method, similar in locating words in locations, is using your own body. Another method, one that has potential for a great many associations, is imagining the items to remember on a journey, whether it be a short journey around your house, or a long journey across the nation. Horsley likes to use lists of qualities from motivational books for several exercises. There are particular methods for remembering numbers, associating them with letters, then making words of those letters; remembering names of people by associating them with actions or prominent characteristics. In closing the author writes about incorporating these methods with self-discipline and reviewing for memory reinforcement. As a college student I found this to be an invaluable resource. I have spent so many hours reading things, hearing things, only to forget them and have to study them all again come test time, and then forget them again after the class is over. Many college students seem shockingly ok with forgetting half of what they spent so much money to learn, I for one spent the money to know and remember what I have been taught. These techniques are worth a bar of gold. If you allow this book to change the way you learn, then this book is easily worth 20x the cover price for the keys and tools Horsley provides you with because you'll finally be able to overcome that old adage that claims that we only use about 10% of our brains. Like most of us, I've always just accepted the limitations that seem inherent with owning a brain, and I've become satisfied that I'll never be able to use more than "10%" as if it is not even realistic to tap into significantly more than that. However, this book invites you to throw away those limitations and strive for more. And Horsley's methods are not difficult to put into practice. They only require commitment, practice, and review. He compares it to taking your mind to the gym for a regular workout. When I first saw this book, I was very skeptical. When I first saw this book, I was very skeptical. There is a very bold insinuation made in the title. But because it was on sale on Kindle for $1.49 the day I bought it, I decided it was worth the purchase. A few days later, after finishing the book, I am ready to call this one of the best and certainly most useful non-fiction books I have ever read, and I am a very avid reader.